There are currently 0 users and 63 guests online. 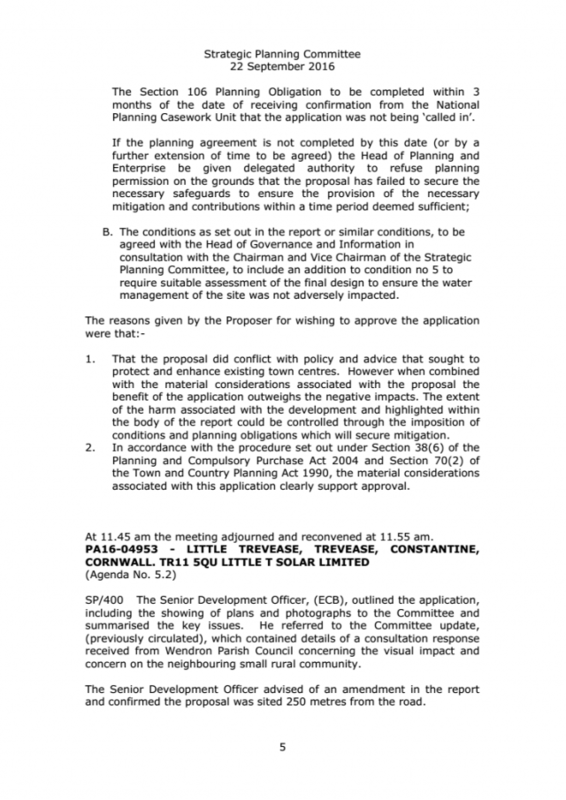 Submitted by via Cornwall Council on Wed, 01/08/2018 - 00:00.
support of the application, and retailers. 2. 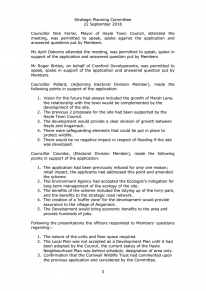 Two further letters of objection and officer comment. regarded as not being made. 5. Further clarification and information from the Applicant. 6. Assessment and amended Recommendation. 1. Reduction in floor space. 2. Change in retail goods to bulky goods. 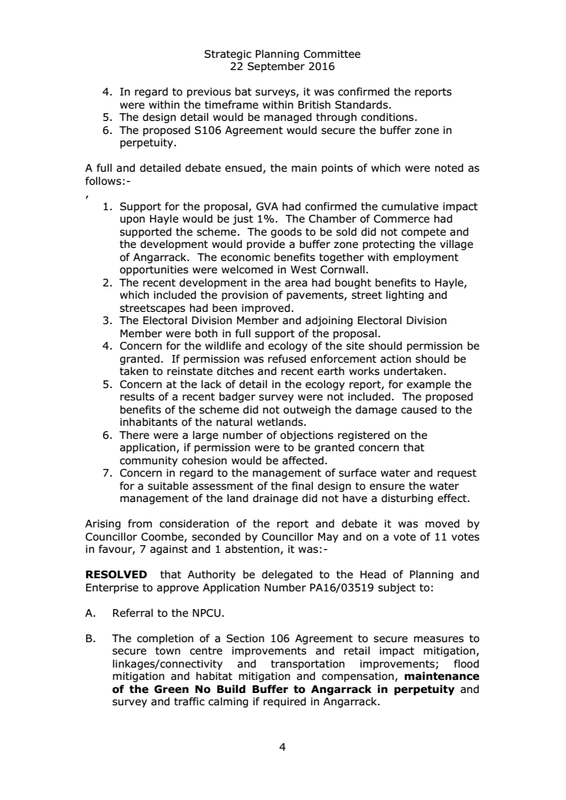 objections had been received from the Environment Agency. 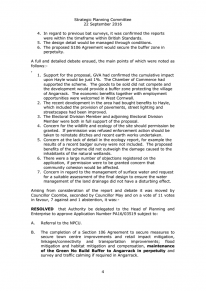 previous refusal on cumulative impact. answered questions put by Members. long term management of the ecology of the site. and the benefits to the strategic road network. 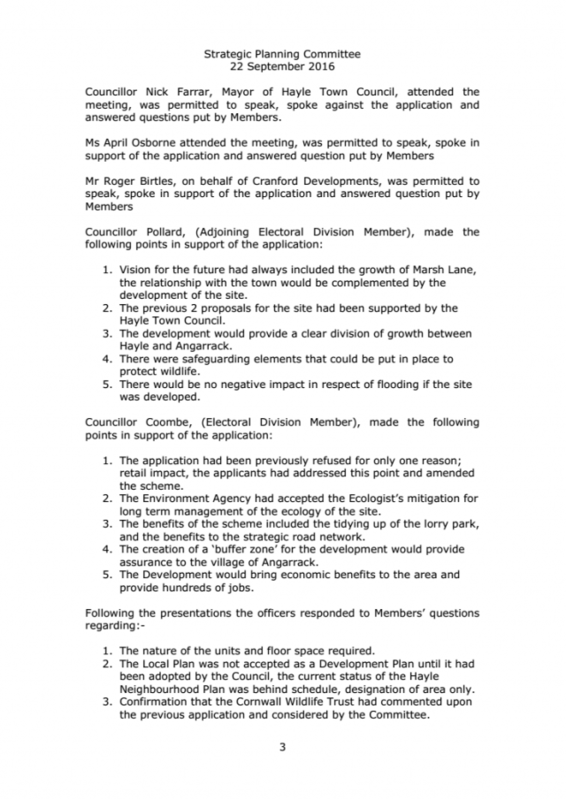 assurance to the village of Angarrack. 1. The nature of the units and floor space required. Neighbourhood Plan was behind schedule, designation of area only. 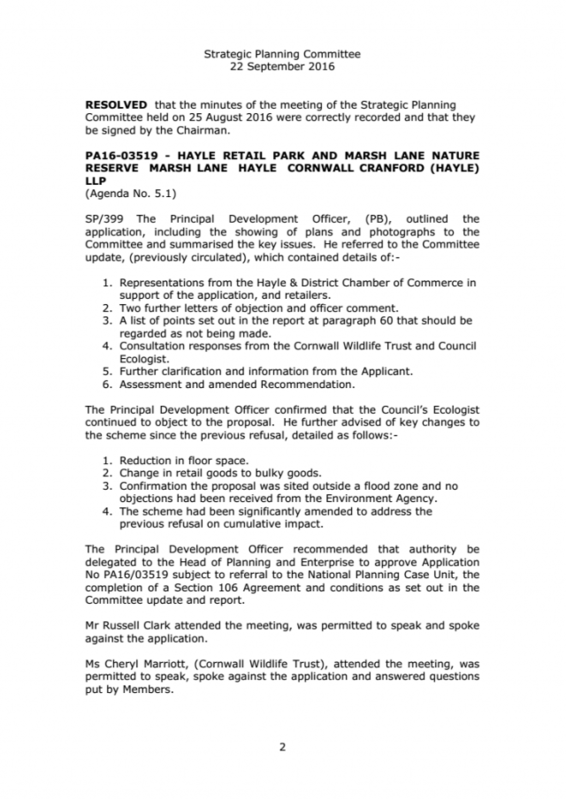 the previous application and considered by the Committee. were within the timeframe within British Standards. 5. The design detail would be managed through conditions. 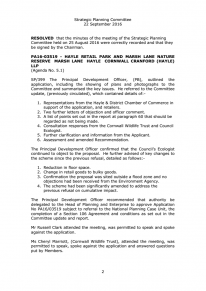 opportunities were welcomed in West Cornwall. Member were both in full support of the proposal. taken to reinstate ditches and recent earth works undertaken. inhabitants of the natural wetlands. community cohesion would be affected. management of the land drainage did not have a disturbing effect. A. Referral to the NPCU. survey and traffic calming if required in Angarrack. 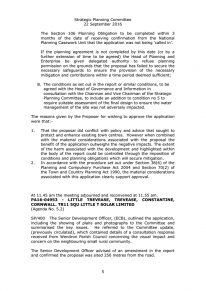 Planning Casework Unit that the application was not being ‘called in’. management of the site was not adversely impacted. conditions and planning obligations which will secure mitigation. associated with this application clearly support approval. At 11.45 am the meeting adjourned and reconvened at 11.55 am. Mother and daughter jailed for "dishonesty on an industrial scale"